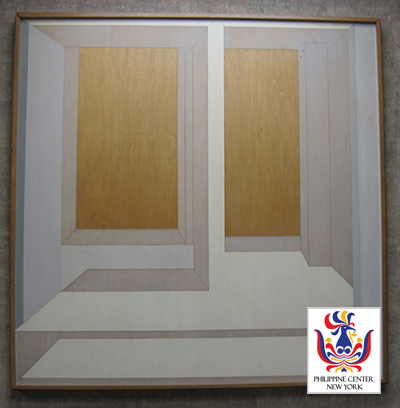 He invigorated the Philippine modern abstract movement with his hard-edge paintings. He held his first solo exhibit at the PAG in 1958. His earlier works were influenced by Jackson Pollock’s abstract expressionism, as evidence by his enamel on cardboard painting “Homage to Pollock” (1953). Among his winning works at the AAP annual competition were Second Prize for “White City” in 1961, First Prize for “Explosion in Gold” in 1962, and Honorable Mention for Explosion in Red City” in 1963. The City of Manila awarded him the Patnubay ng Sining at Kalinangan in 1975.